Home » Facts about Payday loans » The Payday Lending Debate: Is it Moral? This year has brought a lot of attention to the payday lending industry. 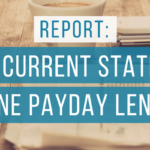 From important discussions held at the White House, to the industry coming under fire from giant, powerhouse websites, to the Consumer Financial Protection Bureau (CFPB) proposing new rules and regulations, it’s been anything but a quiet year for payday lenders. One of the biggest items of discussion that’s been called into question this year, is the morality of payday lending: Are payday loans a moral way of lending money? Are payday lenders acting in good moral faith? What parts of the lending process are cause for concern? It’s an important question to ask, and it’s even more important to understand why the payday lending industry is causing so much concern. Aggressive lenders have been overstepping boundaries. 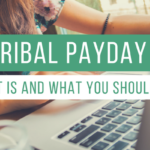 Tribal payday lending has pushed the lines of what’s legal and what’s not. Shady practices have led unknowing borrowers into financially devastating scams. There’s no argument that the payday lending industry can be shady and questionable. So, let’s dig into this year-long debate about whether or not payday lending is moral. One of the first giant spotlights that was shone on the payday lending industry this year occurred in May. Google announced they were banning ads for payday loans and other similar loans with short repayment periods and high interest rates. They said that “this change is designed to protect [their] users from deceptive or harmful financial products.” They pointed out that ads for financial services are an area of vigilance because they’re so core to people’s livelihood and well being. Google cares. So, they took a stand to protect their users. But at the core, this decision called into question (very loudly) the morality of payday loans. Is it Moral? : Payday lenders are using deceptive products and deceptive tactics to trap unknowing consumers. A month later, in June, the CFPB announced that they were proposing new rules that would further regulate the payday lending industry. 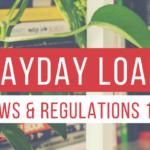 The CFPB said that these new rules would end payday loan debt traps “by requiring lenders to take steps to make sure consumers have the ability to repay their loans”. The proposed rules would also “cut off repeated debit attempts that rack up fees”. In their announcement, the bureau voiced their concerns that risky lending practices were pushing borrowers into debt traps. Chief among these concerns, they stated, was that “consumers are being set up to fail with loan payments that they are unable to repay”. Is it Moral? : Payday lenders are engaging in risky lending practices and are knowingly approving loans and loan payments that consumers cannot afford to repay. Is it Moral? : Payday lenders are preying on vulnerable consumers by trapping them in an intentional cycle of debt. Are payday loans moral? That’s the question. Are the practices currently used by the industry ethical and honest? Have payday lenders created a system to intentionally trap borrowers in a cycle of rolling over loans they can’t afford? Is knowingly using deceptive practices that knowingly put consumers at risk wrong? The year may be coming to end, but these conversations and the controversy surrounding the payday loan industry are not. And hopefully more stringent rules and regulations that will protect consumers aren’t far away. If you’re stuck in the payday loan debt trap and are struggling with overwhelming payday loan debt, we can help. At Real PDL Help, we work with you one-on-­one to get you out of payday loan debt and regain control of your life (and finances). Contact us today!